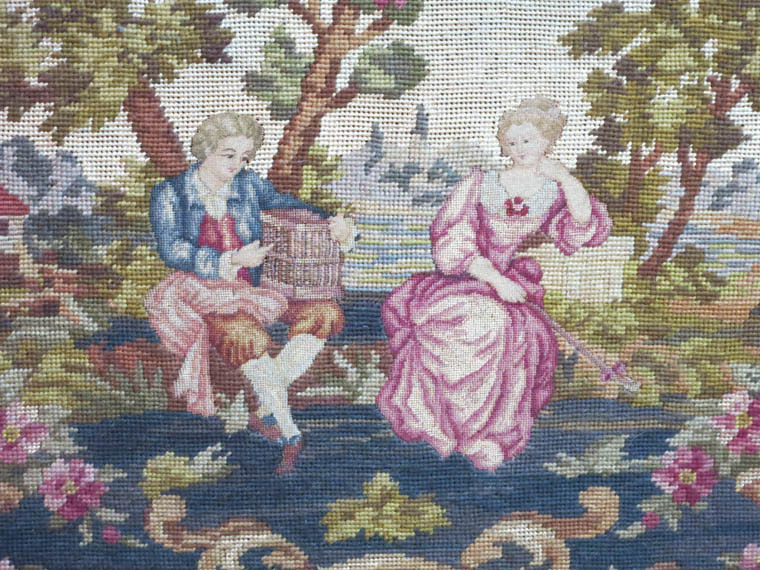 Carved Walnut Fire Screen with Needlepoint -- This is a beautifully carved walnut fire screen with a handmade needlepoint in the center. The frame is heavily carved with flowers and leaves, and the stand has paw feet with finials at the top. It dates from the late 1800s. It measures 39" tall x 45" wide and is in beautiful original condition. 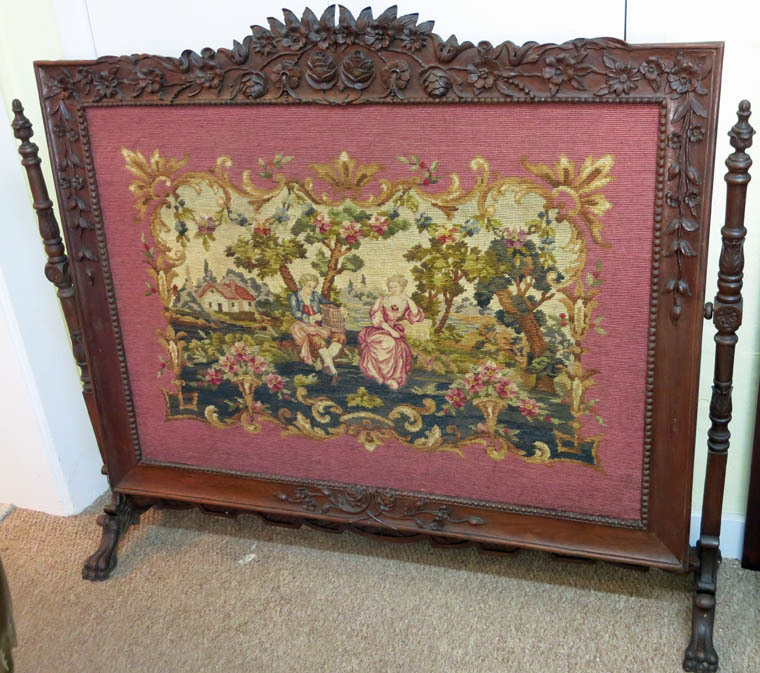 This is a beautifully carved walnut fire screen with a handmade needlepoint in the center. 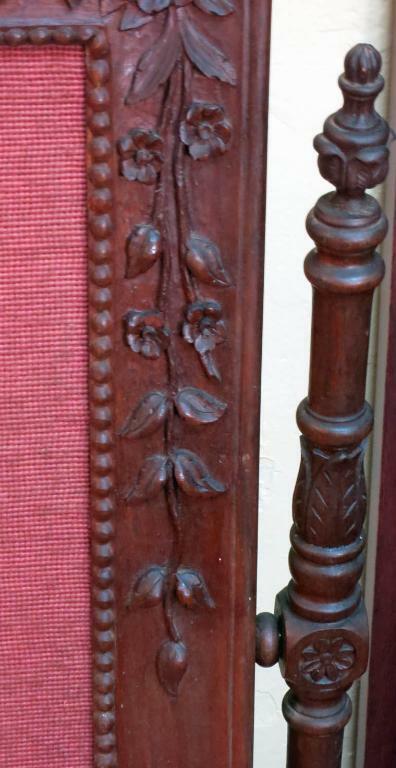 The frame is heavily carved with flowers and leaves, and the stand has paw feet with finials at the top. It dates from the late 1800s. 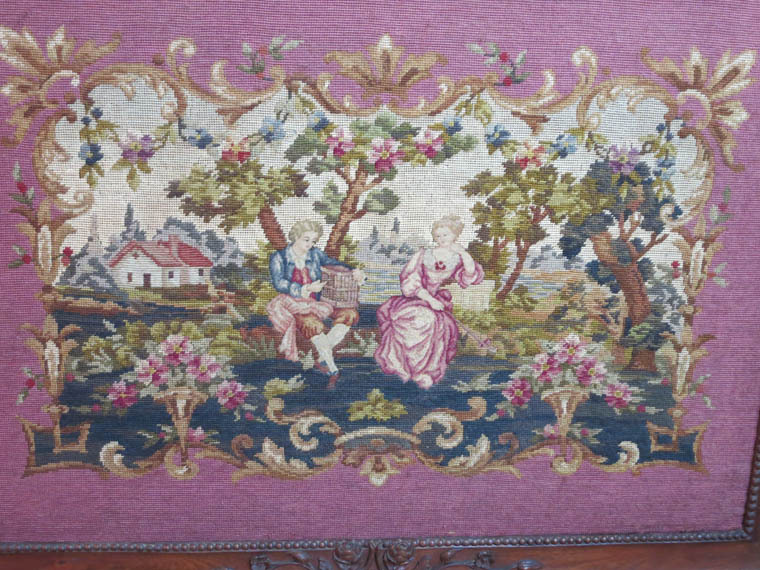 It measures 39" tall x 45" wide and is in beautiful original condition.